The data was added on ,	18 April 2018 read 228 times. 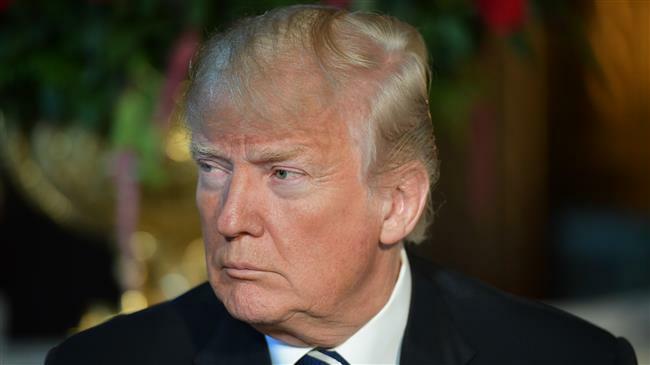 US President Donald Trump has been criticized over his decision to strike Syria again by some of his most vociferous conservative supporters wary of US involvement overseas. It is not clear, however, that the public criticism is indicative of a deeper schism, with the president’s supporters still believing that the April 14 strike will not have political damage. Trump ordered a military strike against the war-torn country despite international warnings against further escalation of the situation. Three sites in Syria came under attack by US, British and French military forces that used Tomahawk cruise missiles and other types of bombs. The strikes were carried out in response to an alleged chemical attack by the Syrian government, which has vehemently denied the accusation. It was the second time Trump directly targeted the Syrian government after the first attack last year when Trump ordered a cruise missile strike against a Syrian airbase accused of being involved in another alleged chemical attack. Days before the attack, which was more extensive than last year’s, Trump was pushing his military advisers to withdraw from Syria, where US troops are claimed to be fighting Daesh. However, before making any bid to pull out the American troops, he changed his course of action ordering an all-out attack on Syria. Some Republicans on Capitol Hill criticized the president for acting without congressional authorization. In an op-ed published Tuesday by CNN, Republican Senator Rand Paul urged Trump to “trust [his] gut” and not get involved further in Syria. “President Trump is listening far too much to the foreign policy swamp that he fought against,” Paul wrote. Republican Congressman Thomas, who believes the strikes were unconstitutional, said Trump’s advisers are in conflict with the president’s instincts. “If he had been a piece of crap from the beginning, it wouldn’t be so bad. We’ve made so many sacrifices and now he’s crapping all over us. It makes me sick,” Jones said. Despite the harsh criticism, there were still some conservative commentators who did support Trump. “Trump supporters trust Trump’s judgment and elected him to use it. Agenda supporters trust Trump as long as he follows their agenda and question his judgment every time he doesn’t,” Pundit Bill Mitchell tweeted.